Taking Action on Earth Day! Earth Day is April 22, 2018. This year’s focus is Ending Plastic Pollution. 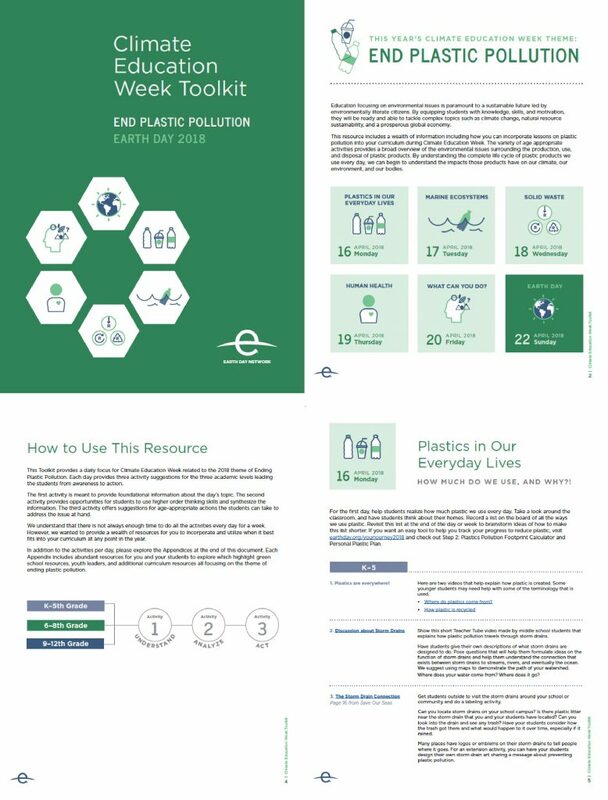 The Earth Day Network has created a Plastic Pollution Primer and Action Toolkit that explains everything from the history and production of plastic products to the harmful effects plastics have on our health, our oceans, and our climate. This resource also provides a Plastic Pollution Footprint Calculator, which could be useful for classroom studies of climate change and sustainability or as an Earth Day activity for students and their families. The Reduce, Refuse, Reuse, Recycle, Remove, and Personal Plastic Reduction Plan sections also provide beneficial activities and resources for students seeking to reduce their level of plastic pollution. Find the Plastic Pollution Primer and Action Toolkit here: http://www.earthday.org/wp-content/uploads/Earth-Day-Network-Plastic-Pollution-Primer-and-Action-Toolkit-updated-2.20.2018.pdf. The Earth Day Network website provides further resources designed to help teachers inform, inspire, and organize students to take action on Earth Day 2018 and beyond: https://www.earthday.org/educate2018/. Especially useful are Toolkits for Primary, Secondary, and University/College students, which include useful resources, discussion topics, and activities. A preview of the Climate Education Week Toolkit for Primary and Secondary Schools from the Earth Day Network. In previous issues of Canadian Teacher Magazine, we have shared various articles that focus on sustainability, environmental awareness, and going green. Many of these articles provide beneficial information, resources, and activities for teachers and schools seeking to take action on Earth Day. 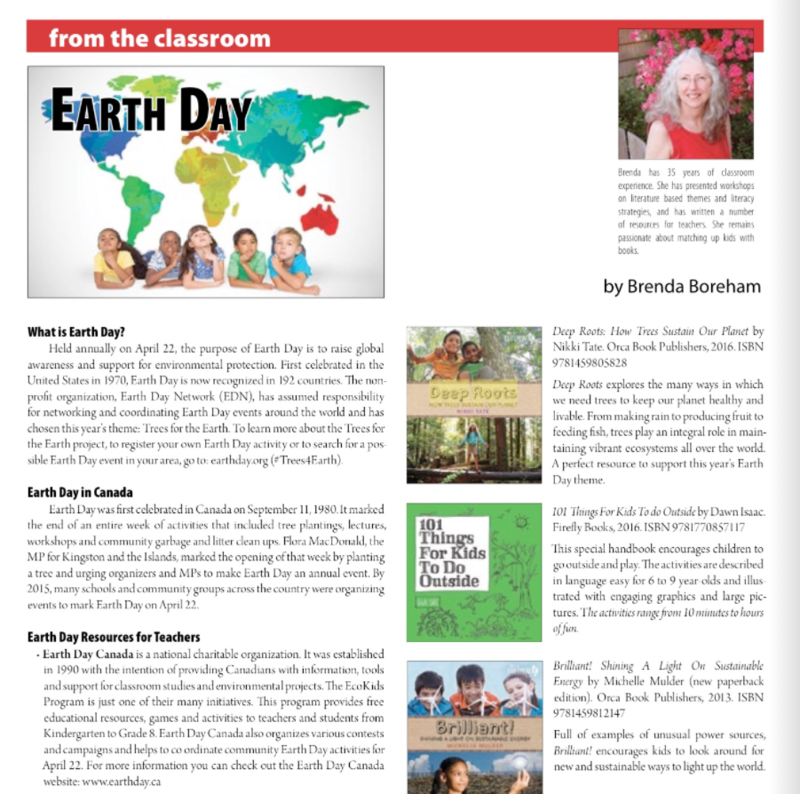 In the article “Earth Day”, Brenda Boreham explores what Earth Day is, details its history in Canada, and provides relevant Earth Day resources for teachers: https://canadianteachermagazine.com/2016/04/15/earth-day/. In the article “Teaching Innovative Ways to Combat Food Waste,” Larraine Roulston explores way to reduce food waste, such as through composting and food share programs: https://canadianteachermagazine.com/2017/09/15/teaching-innovative-ways-to-combat-food-waste/. “In the article “Teaching the Zero Waste Generation,” Larraine Roulston shares suggestions for expanding the classroom recycling program: https://canadianteachermagazine.com/2015/09/15/teaching-zero-waste-generation/. Roulston also writes children’s adventure books on composting and pollination. These fanciful stories blend fiction with facts. 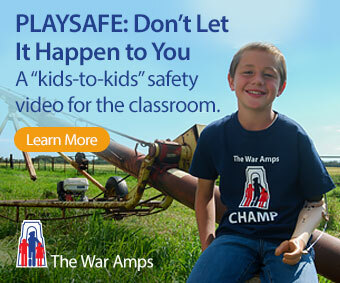 They include songs, poems and additional notes all designed to help teachers, parents and children discuss the process of composting in an interesting way: http://castlecompost.com/. Whether it’s pledging to reduce the use of plastics in the classroom, sharing books with students about the importance of protecting the planet and our precious resources, starting a classroom eco club, or finding other beneficial ways to give back to and look after our earth, teachers can inspire students to make every day Earth Day!